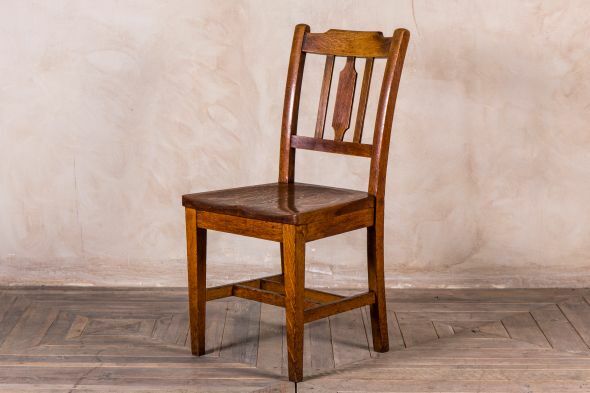 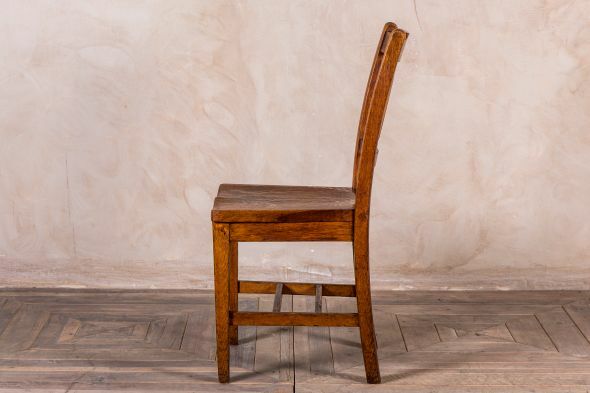 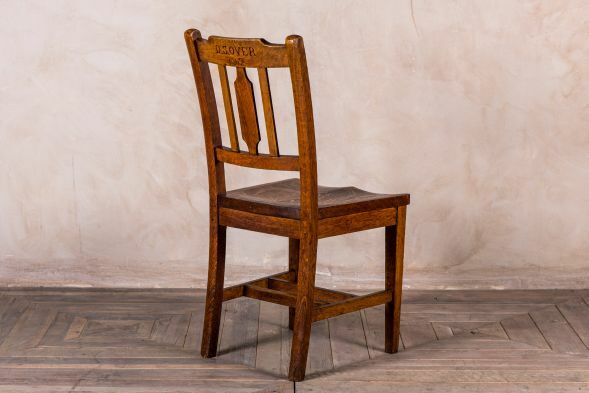 This is a great chance to buy a very unusual antique carved school chair. These Victorian / Edwardian chapel church chairs are extremely sturdy and in a lovely condition for their age. 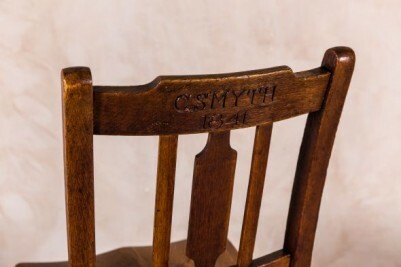 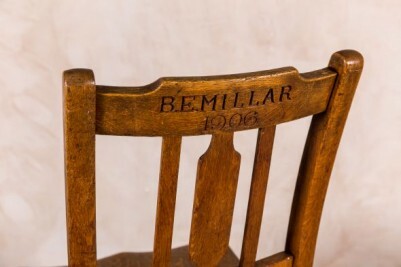 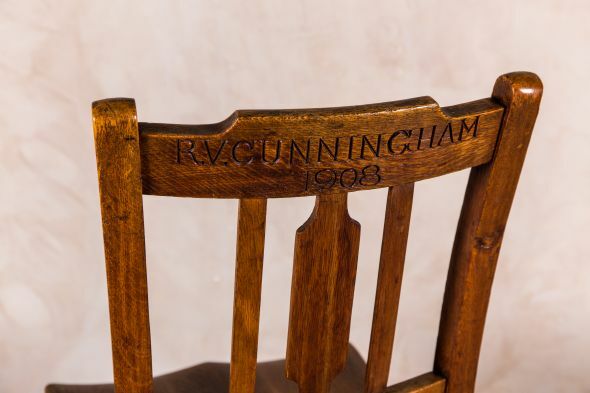 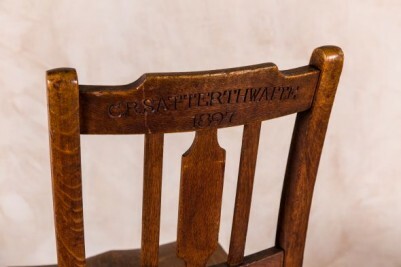 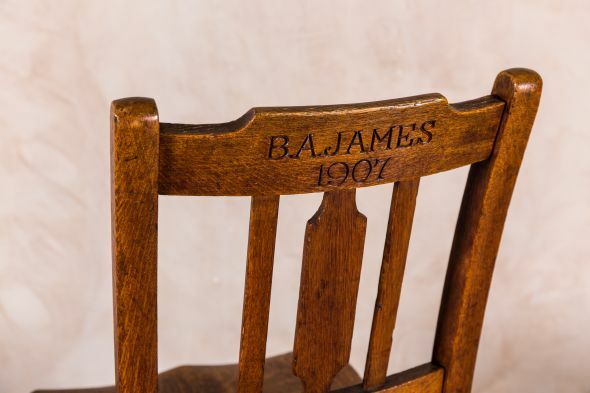 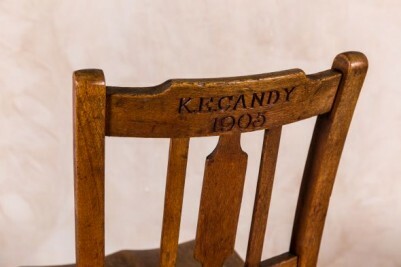 As you can see from the photographs, each chair is unique, having been individually carved with a name and date of the particular person who used to sit on the chair. 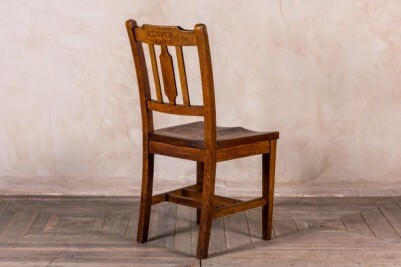 These fantastic antique school chairs have a lovely chestnut colour and patina. This is a great opportunity to purchase an item of antique furniture that has some history. Please contact us for details of what specific names and dates we have in stock. Please confirm which name you would like when placing your order. 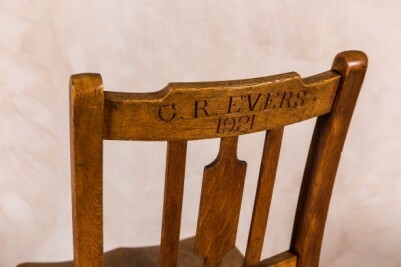 Please note: the price stated is for one antique carved school chair only.